I picked up this pair of Meat Claws recently and couldn’t wait to try them out! I am a sucker for kitchen gadgets, and the package promised that they would “shred meat easily.” Look at those stainless steel talons! I’ve had a pork shoulder roast in the Crock-Pot all day in preparation for making taquitos for dinner tonight…. The roast had reached that starting-to-fall-apart stage, so I put on my new claws. I have to say, these meat claws make shredding even a large roast simple. I tore the roast into shreds in about thirty seconds — no lie. Using these makes this task very fast! I usually use two forks to shred a roast, but this beats that method hands-down. Done! Look at that. I can’t believe how quickly I tore through the roast — and how oddly satisfying it was to mimic a grizzly bear ripping through meat. These meat claws are definitely my new favorite kitchen tool! I paid $4.99 for my Meat Claws at Marshalls. Amazon sells a similar stainless-steel pair and a plastic pair. Lu, I don’t have a written recipe, but I’ll tell you how I make it :) I usually buy a 6-8 pound shoulder roast or other inexpensive boneless pork cut. Thank you for the recipe and for all the grocery tips, etc! 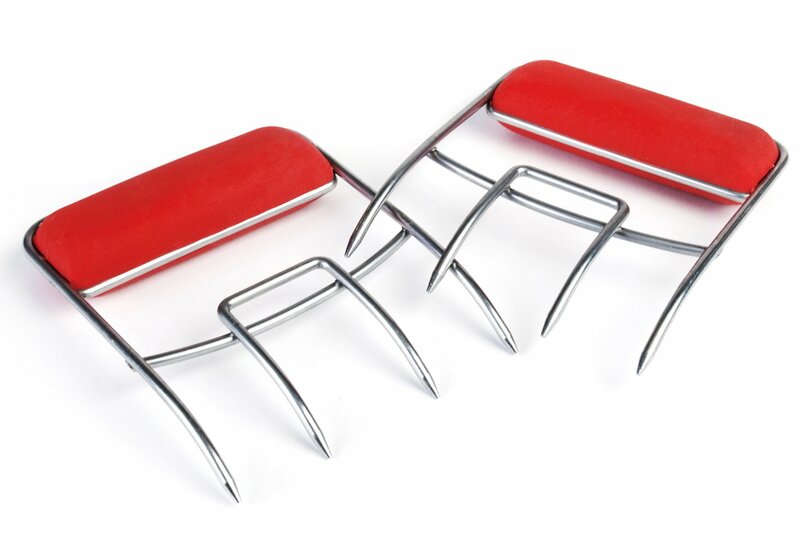 Wow…It’s amazing …I will definitely try it..
We have had these claws for a few years now and my husband smokes pork butts a few times a year and these are the best kitchen tool ever! Like you said it tears through the meat with hardly any effort. We used to use 2 forks and my hands were numb after shredding 2- 7 pound roasts! Love these!